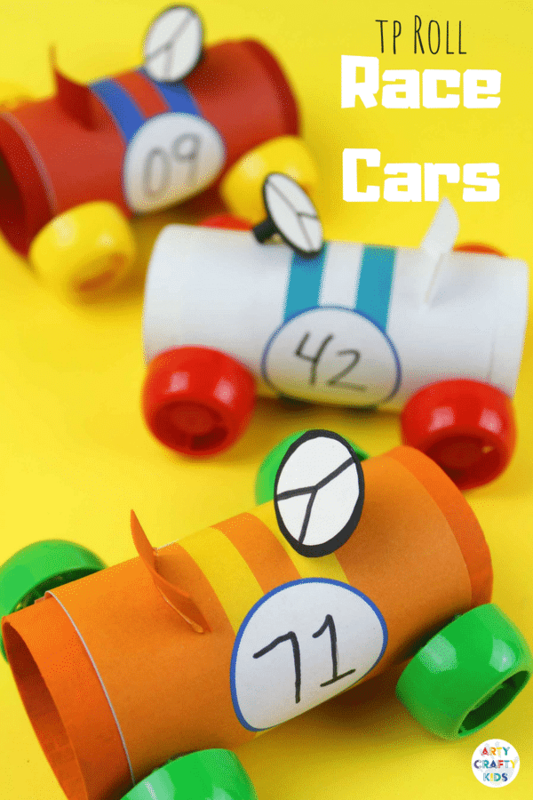 These adorable Paper Tube Racing Cars are super easy to make and great fun to play with. 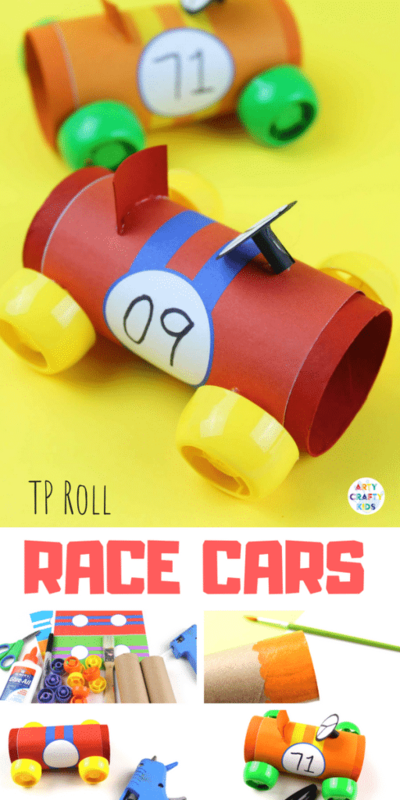 With the addition of some DIY race tracks ( using sticky tape and a black pen for road markings) and a piece of attached string to the racing cars, kids can zoom around and hold their very own wacky races! 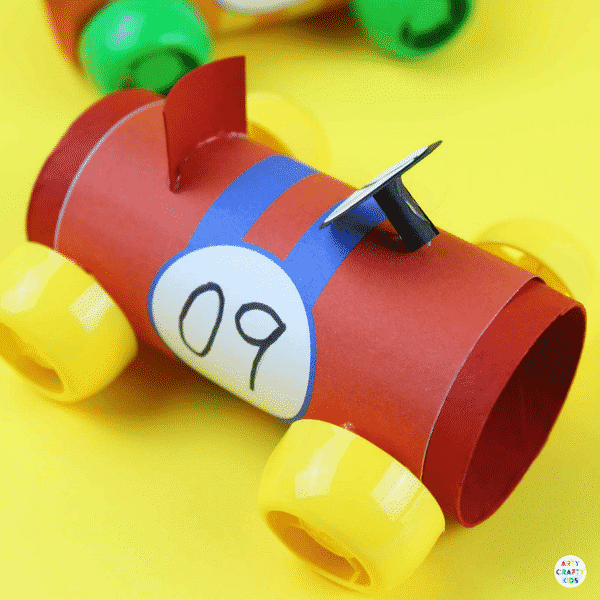 And with our handy downloadable templates, kids can personalise their cars with different colours, numbers and go faster stripes! Step 1: Download and Print out the racing stripes. 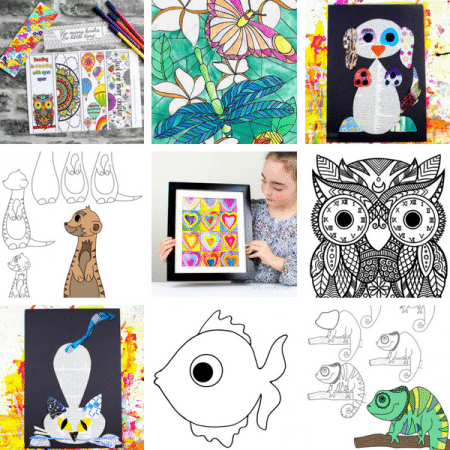 These printables can be found within our exclusive member’s area, where you can download a fantastic range of art and craft templates. Cut the printed strips into sections using scissors (some paper tubes are a bit larger and some are a bit smaller, adjust the size of your printable to suit them accordingly). 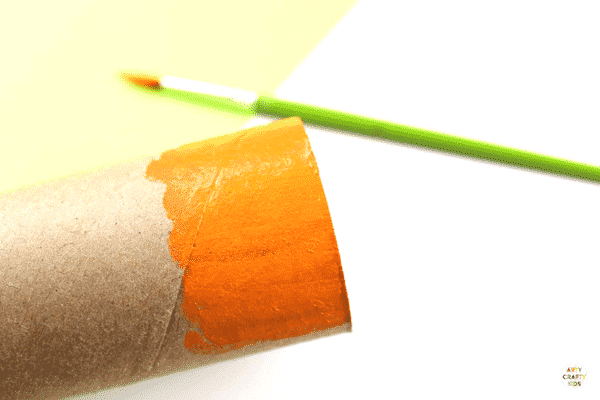 Step 2: Paint your paper tubes. A few coats will be required to cover the cardboard (approximately 2-3). Step 3: Allow the paint to dry completely. Leave the middle section of the paper tube as this will be covered by the printable. Step 4: Wrap the racing stripes around the tube and secure with glue. 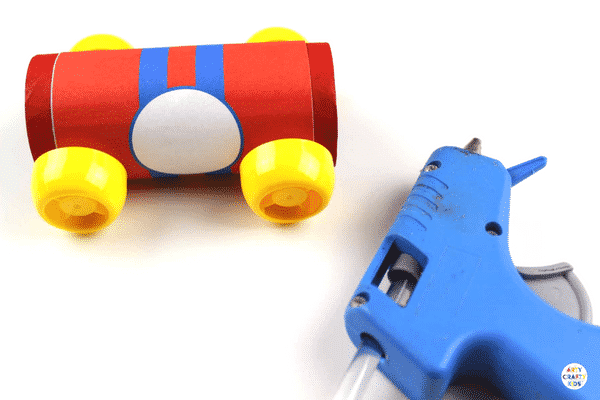 Use a hot glue gun to secure the applesauce caps onto the paper tube. 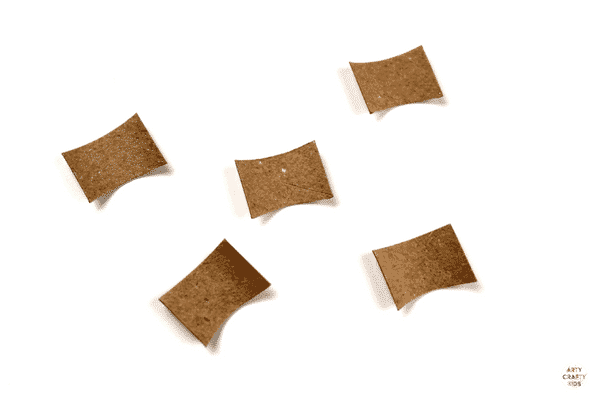 Step 5: Cut small rectangles from an extra paper tube, adding a slight curve to one of the long horizontal edges. Step 6: Paint the rectangles the same colour as your car. Step 7: Cut circles from the spare tube and flatten, one slightly larger than the other. 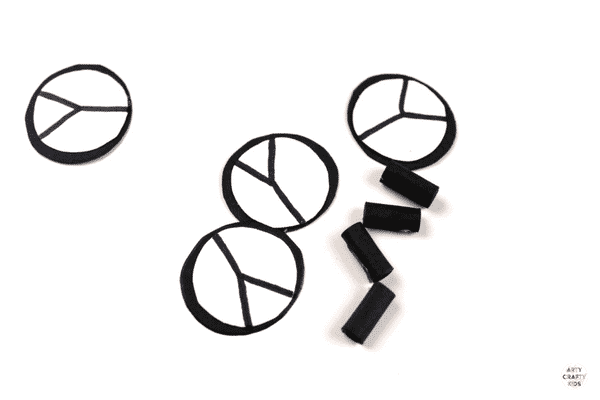 Paint the larger circle black and add detail to the white circle to create steering wheel detail. Cut an additional rectangle, flatten and paint it black. Once dry, wrap it round to create a mini tube and secure with hot glue. 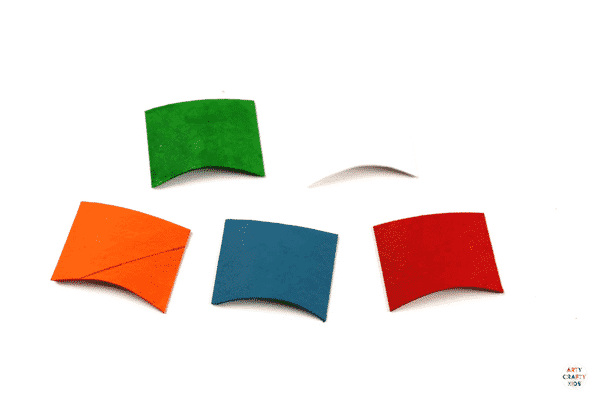 Step 8: Glue the steering wheel pieces together and secure to the paper tube. 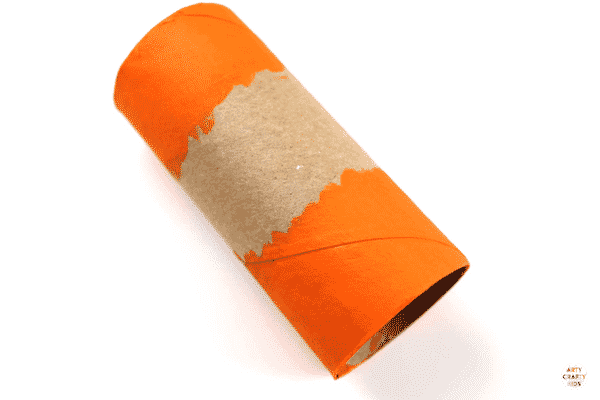 Glue the seat rest onto the paper tube. 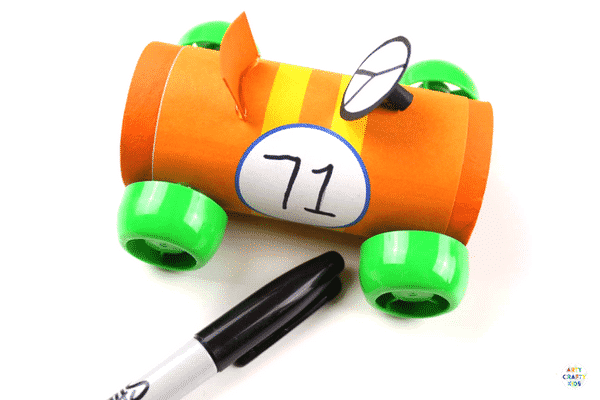 Use a black marker to add a lucky number to the car and this completes the craft! 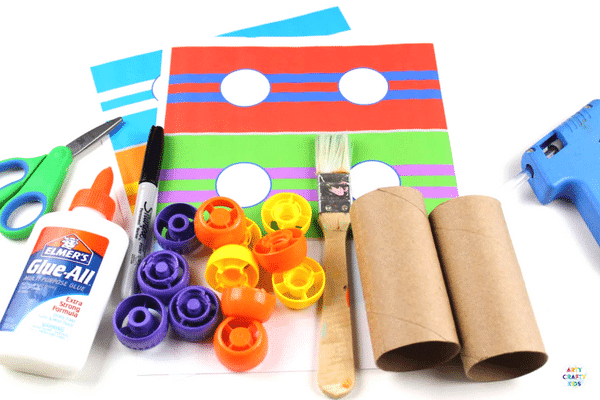 Enjoy this super cool and fun paper tube racing car craft and while you’re here, did you know that you can now have our craft ideas and everything you need to complete the projects delivered straight to your door! 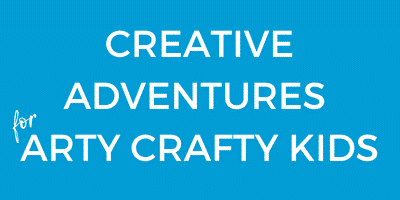 Let’s take a peek inside the Arty Crafty Box!